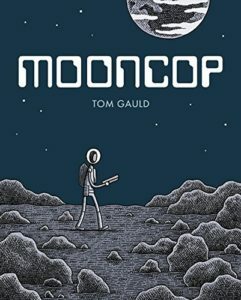 Harvard Book Store welcomes acclaimed cartoonist and illustrator TOM GAULD for a discussion of his latest graphic novel, Mooncop, recounting the daily deadpan adventures of the last policeman living on the moon. Gauld will be joined in conversation by Harvard University Film and Visual Studies PhD candidate KATIE KOHN. More info about the event right here. Learn how to create and publish comics using digital tools – no drawing ability required! With the explosion of digital technology and open source programming, the mediums of visual storytelling have expanded and produced new and exciting avenues for content creation. In this course, we will explore the structure and vocabulary of comics, unlocking their potential to tell stories both simple and complex, funny or serious. Students will learn to use digital tools for creating, editing, and publishing comics; as well as be exposed to various online resources for comic creation. Each student will leave the course with a short finished comic. No cartooning or drawing ability required!